While Grenache has a long history in Australia, it is only over the past decade or so that the variety has received the recognition that it deserves. While it is regarded as a classic variety by many writers I believe it is an 'alternative varietal' in Australia. 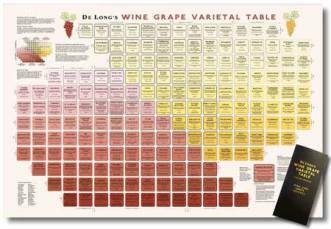 Few wine drinkers know much about it, especially in states other than South Australia. 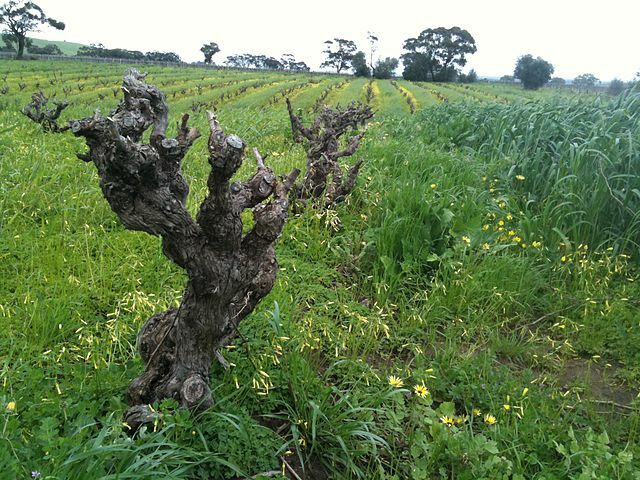 Grenache is often grown as goblet or bush vines rather than more common trellising methods. in fortified wines, especially tawny styles. There is some contention among wine writers as to whether this variety should be regarded as French, or as a Spanish variety. It is now known that the variety originated in Spain so the variety is more correctly known as Garnacha. In Spain it is known as Garnacha, and is grown extensively throughout the North and East of the country. It plays an important but secondary role in blends with Tempranillo, but in Priorat in the North East it is the dominant variety. In France this variety is grown in the Southern Rhone region as well as in Languedoc-Roussillon. In the Rhone it is a key ingredient of the famous Chateauneuf-du-Pape wines. In fact Grenache is a principal variety in all of the major Appellations in the Southern Rhone. Grenache is also the major variety in Tavel Rose. It plays no part in the cooler Northern Rhone where the only red grape variety is Shiraz (Syrah). On the Italian island of Sardinia this is a major variety under the name of Cannonau. The wines reflect the conditions under which the grapes were grown. When grown under tough conditions or from old vines varietal Grenache wines can be rich and complex, with flavours of roasted nuts, blackberries spices and above all earthiness. 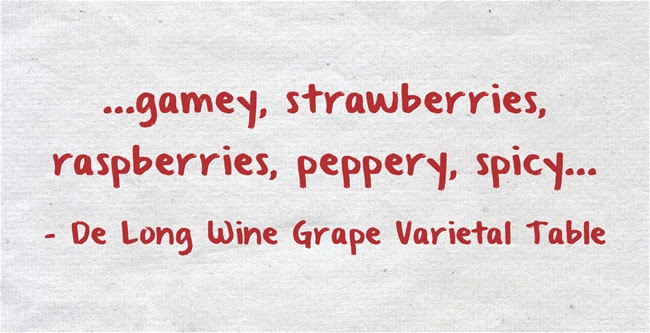 By contrast young Grenache vines can produce wines redolent of raspberries and strawberries. In blends I have often detected just a hint of crushed ants in the nose. As young wines Grenaches are firm and sometimes rough textured. I suspect that getting the tannin balance right is a major factor in making a good Grenache. The light colour often does not adequately prepare you for the depth of flavour. I no longer keep a list of Australian wineries making Grenache wines. There were over 400 when I last counted. The ability of this variety to produce high yields when given plenty of irrigation in warm climates made it the most popular Australian variety until the 1960s. It was the basis of the so called port wines, as well as a component of many dry red wines, then called Claret. 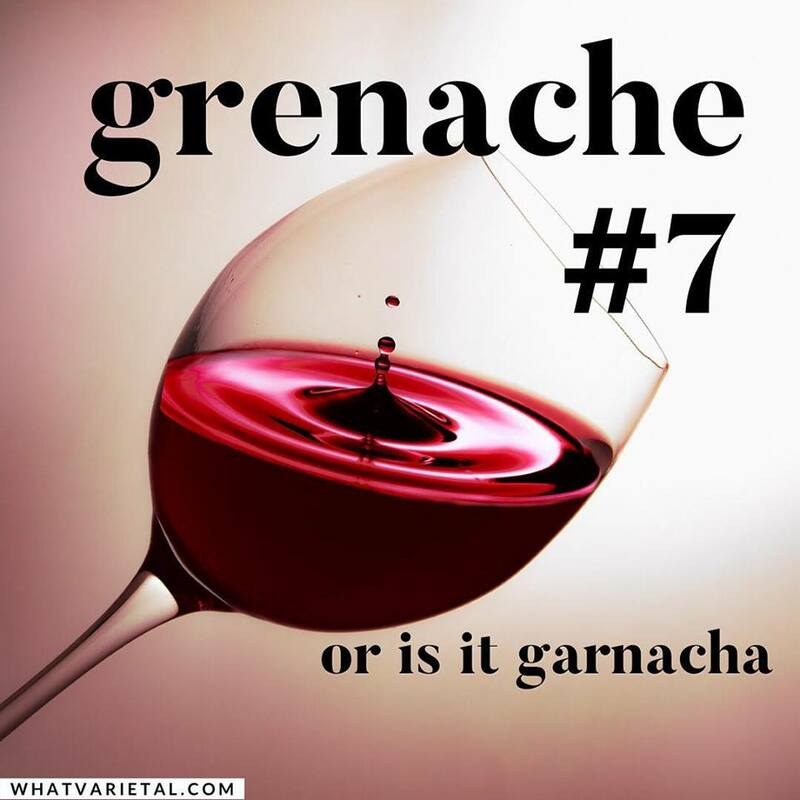 But only rarely did the word Grenache appear on a wine label. Shiraz and Cabernet Sauvignon replaced Grenache in the vineyards and the variety seemed destined for obscurity in Australia. In the 1980s, when the Australian wine industry was concerned about overproduction of red wine, this variety was subject of a vine-pull scheme. Fortunately a few growers and winemakers recognised the virtues of Grenache and it now is nudging along nicely in the wine fashion stakes. A few remaining paddocks of Old Vine Grenache have suddenly been elevated to the status of viticultural gold mines. The passion and perseverance of the Grenache producers have been harvested by the marketers and the future of the variety seems assured. Order your copy, free world wine delivery. 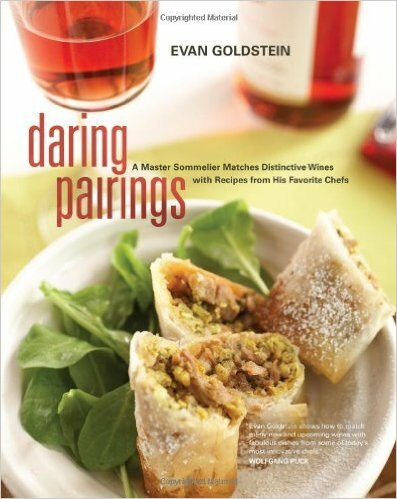 Grenache is one of thirty-six varieties discussed at length in Evan Goldstein's Daring Pairings book. While the lighter styles are versatile as accompaniments to food, bigger styles demand a hearty meaty dish to really show their stuff. GSM wines are firm, well flavoured and coloured. They go well with barbecues, but are certainly not out of place with the best cuts of meat, roast beef or lamb perhaps. Or you could think Provencal foods, tomatoes, courgettes, aubergines and herbs.